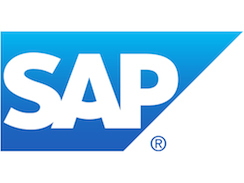 As the market leader in enterprise application software, SAP helps companies of all sizes and industries run better. From back office to boardroom, warehouse to storefront, desktop to mobile device, SAP empowers people and organisations to work together more efficiently and use business insight more effectively to stay ahead of the competition. SAP University Programme Expert, Axel Ferreyrolles, recognised a need within SAP to change operations from the inside out to drive change and innovation. Axel was drawn to a Middlesex masters qualification because of the detailed reflective practice aspect to the programme, as well as the way programmes are tailored to an organisation's specific approach to sales and sales management. He was also attracted to Consalia, a specialist global sales performance improvement company. The Middlesex Msc Sales Transformation programme includes modules designed by sales experts at Consalia that are validated by Middlesex University. The purpose of the programme is to improve the professional status of salespeople, which is often overlooked, and to provide organisations with important research and innovation on sales practices. The programmes are offered on an in-company basis, as a series of modules run over a period of 18 months to two years. Each module consists of either a two- or three-day facilitated workshop. "It is important that we innovate in the way we manage our teams and our business, as well as how we deal with our customers... as a result of the Masters programme we can increase our expectations of sales managers and can start to expect more revenue and more managers hitting their targets."